Mixing a music track is not an easy task for a beginner there are multiple concepts to understand and this article will broadly explain what will be required to produce a competent mix down. We will focus on the use of a digital audio workstation (A sequencer such as Pro Tools, Fruity Loops, Cubase, Logic, Ableton Live, Reason, Nuendo) as opposed to a large mixing console. I will make an assumption that you have arranged your tracks musical progression and we will focus on the sound and balance of the various components of the mix. You will require a good set of studio monitors with a nominally flat frequency response. The idea behind having flat response speakers is so that no specific frequency range is enhanced or subdued so you are able to make judgements about the spectral content and balance of instruments. Studio monitors typically employ 6.5 inch drivers and 1 inch tweeter. (They can of course be smaller or larger depending on model) You should place your speakers away from your room corners where possible and/or install plenty of acoustic treatment. This will further enhance your acoustics for mixing and reduce any standing waves and reflections which can reduce the effectiveness of your decision making. When mixing a music track a fundamental aspect is listening of course. i highly recommend listening to other music tracks in the genre with which you are working. So if for example you are working with dance music or rock tracks it is very wise to listen to current releases ( or notable big releases) in this genre on your mixing speakers to solidify an internal reference. This way you will learn how these tracks sound on your own reproduction system. This will stand you in good stead. The goal is not exact emulation of your favourite artist but the goal is storing within your mind a mental reference for a good mix balance. This is essential in order to become a competent mix engineer. 1) Spectral balance… take note of the bass content in the kick drum and bass line. Consider the snare drum and the tone of it, listen to all the mix elements and consider the high frequency content. 2) Instrumental balance – this is one of the most critical aspects of a music mix. It is here where you must have some approximate references in mind. As you listen to reference music it is important to make a mental memory of approximate instrumental balances so you can recreate such balances in your own work. Once you have an acceptable approximate balance (rough mix) you can make fine adjustments and automated fader adjustments to tailor the balance to your own unique production. 4) Listen for the dynamics in the tracks mix…. mixing can enhance specific musical sections by dynamic manipulation. Dynamics largely relate to the soft and loud sections within a music track. These dynamic volume swings can help enhance a musical or emotional message in a track and communicate intent. 5) Transients are the attack (start/beginning) portion of sounds, the ear expects different attacks for different sound sources. Kicks and snares should ideally be quite punchy/fast sounding in their attack. Kicks and snares (along with bass/vocals) often give a mix power and energy. 6) Well balanced vocals are key, ensure the tone is well balanced and there are no popping noises and that there is not excessive sibilance in the “esses” in words. It is a lot of sonic information to take in and consider and when you listen to your reference tracks I recommend doing so for at least 1 week each day to attune your ears. It takes time and it is not possible to expect to be able to mix like a professional in a couple of days. Most professional mix engineers have been doing so for 10 years and above. Listening to well mixed reference music is very important before you even move a mixer fader in your digital audio workstation. Gain structure is a technically important matter which ensures that you do not distort your mix down and clip the stereo master output of your digital audio workstation. So with your musical reference tracks (of similar genre) in mind select set of instruments and balance them. You can start balancing the instruments in any order but many engineers I know will start with drums and bass. So align the faders till you have a pleasing balance between the drums themselves, consider what is “normal” ….so you would would not want a snare that sounds 4 x louder to the ear than the kick drum, or a hi hat that sounds 4 times louder than a snare. Make judgements about how a drum kit would sound if it was being played in front of you. Then you can bring in your bass line and consider it’s balance against the drums. Consider the groove and the bass lines audibility and balance with the kick drum. You can make small adjustments to any and all instruments as you go. Remember we are building what is known as a rough mix balance. bring in your guitars or synths and vocals one by one. followed by other instrumental sources. Find a suitable level where you can hear all the instruments in a such a manner that they approximate your professional music references and communicate their musical message. 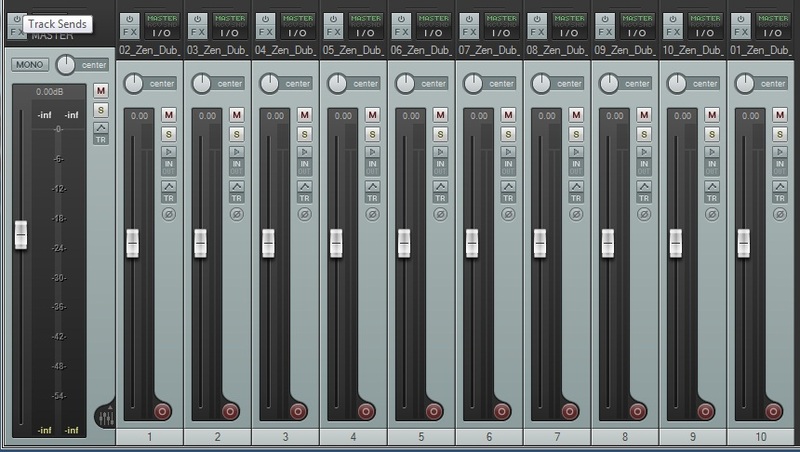 You should now be able to get together fairly competent rough mixes and once you know how to automate the faders of your own workstation you will be able to improve your mixing competency as you practice. Remember mixing is a profession in it’s own right and can take many years to learn effectively and as such you must not expect to be at expert level for some considerable time. But as we know practice makes perfect and it is a fun journey in the meantime. 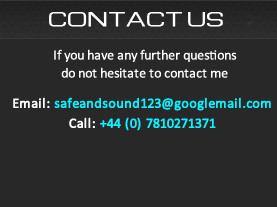 SafeandSound mastering includes free mix appraisal for those who require (request) it when a mastering job has been scheduled.